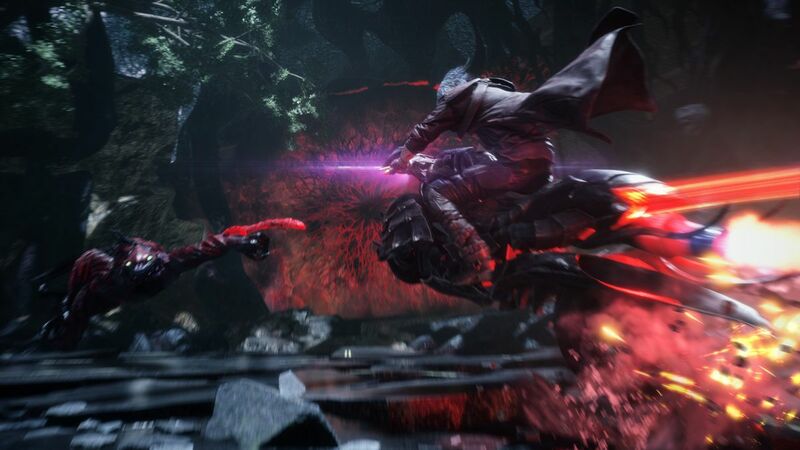 Much like Capcom‘s contemporary offerings, Devil May Cry is a series that has gone through some ups and downs in recent years, but with the latest entry, Devil May Cry 5, on its way to eager fans on March 8th, things are looking up for Dante and company. 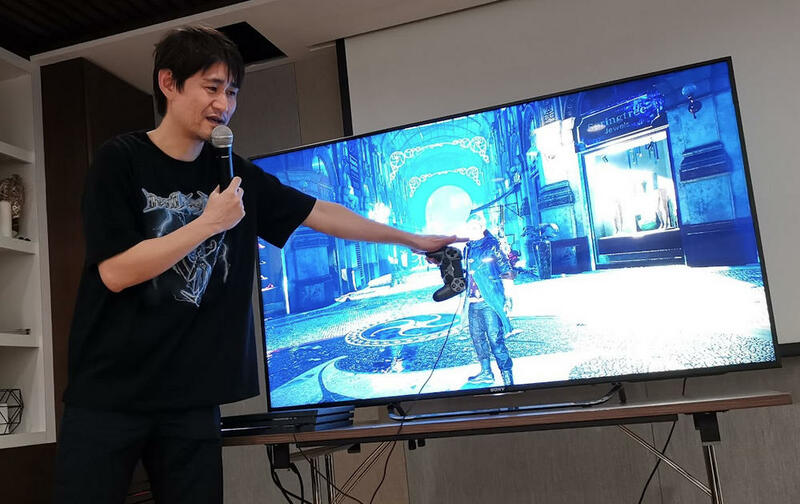 And to give us an update on the state of things, Capcom’s Michiteru Okabe, Senior Producer for Devil May Cry 5, stopped by for a quick chat as we tried to pry more details about the game. 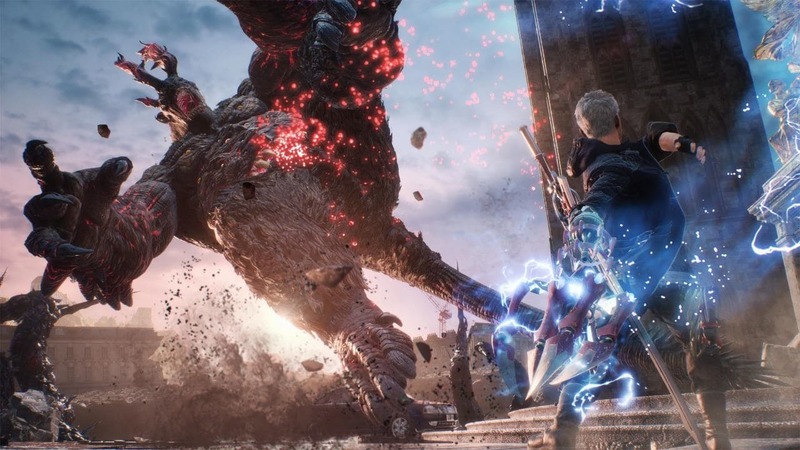 For returning fans, Devil May Cry 5 will feels like a breath of fresh air, as well as offer a sense of familiarity. Nero and Dante are both back in the mix, with the former taking the lead this time. Characters like Lady and Trish are also back, and expect new faces, such as Nico, as well. 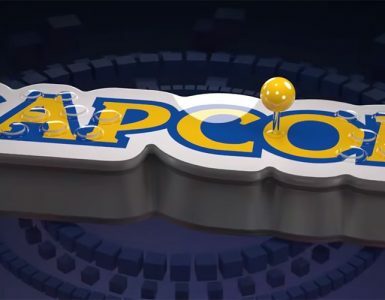 However, Capcom has added a new playable character this time around with V, and while the three characters can be controlled in similar fashion, their combat style varies. 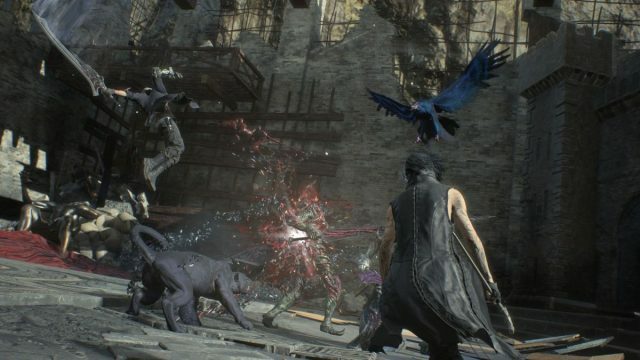 V utilises Familiars to carry out attacks, with Shadow, the leopard, responsible for melee, Griffon for long-range projectiles, and Nightmare the ogre golem as his Devil Trigger to wreak havoc. 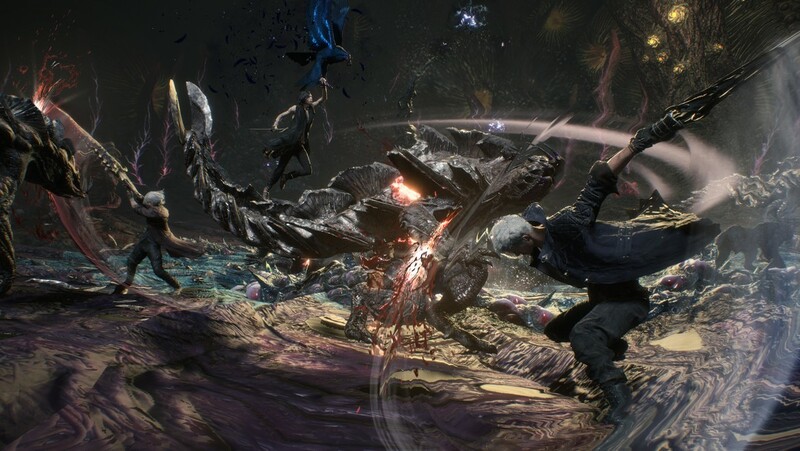 Weaker than our other heroes, V fights with his beasts from a distance, only getting close when striking the vital killing blow. 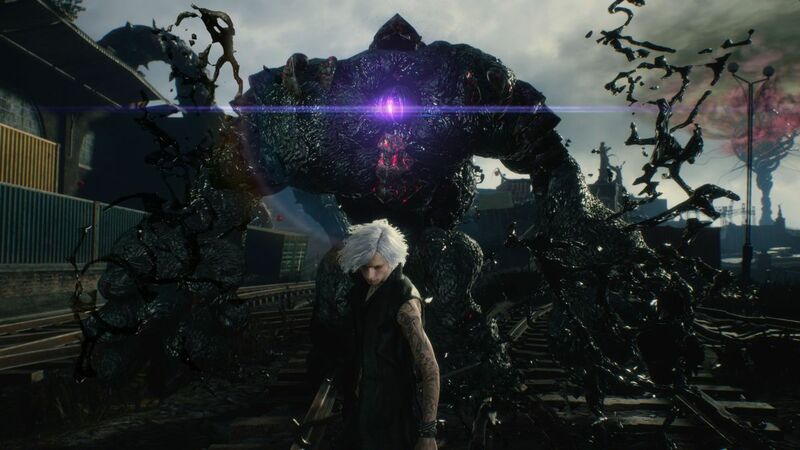 Nero, on the other hand, is able to perform a variety of moves with Devil Breakers, robotic arms provided by Nico and as pick ups. He also wields the revolver Blue Rose, as well as his sword, the Red Queen. The Devil Breakers are a unique addition, granting both a primary and charged attack that changes depends on the Devil Breaker itself. 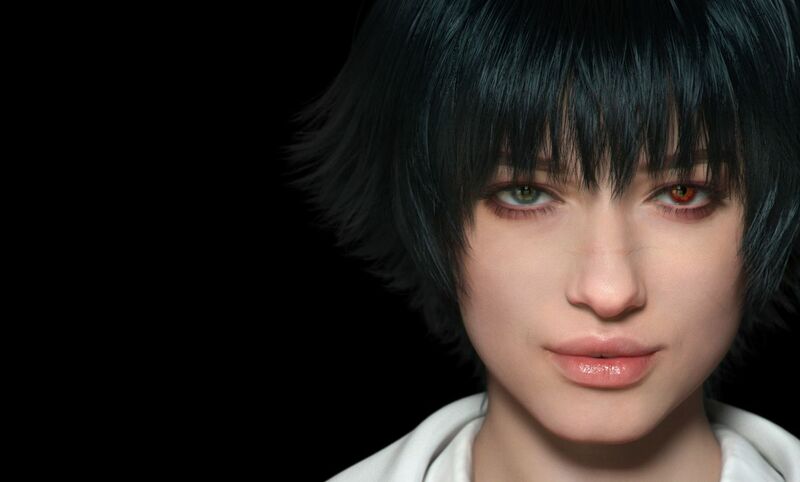 For example, Punch Line provides a close-range option that boasts big damage and knockback when charged, and can also be a guided missile AND an aerial ride for Nero. There is plenty to look forward to, and the depth and variety should provide plenty for fans to obsess over. For Dante, the series’ iconic Ebony and Ivory pistols are back, together with his claymore Rebellion. Of course, he also gets the new Balrog, which adds hand-to-hand combat as well as a cool looking armour. 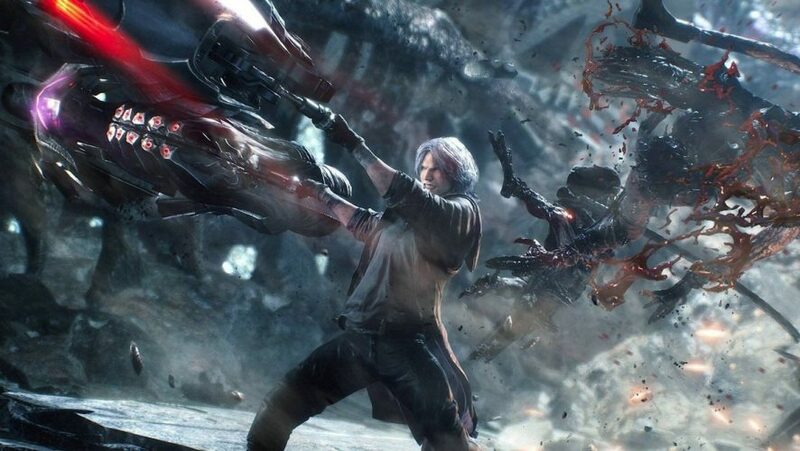 To up the style ante, Dante will also eventually wield the Cavelier, a motorcycle that doubles as hard-hitting weapons. 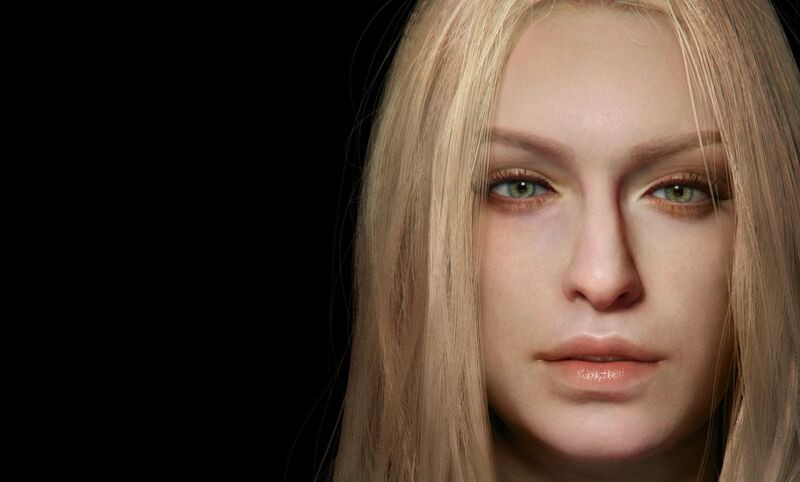 “In terms of story, the initial decision to have V in the story was made easier by the fact that we had Dante and Nero already, and to shape the tale in a way to have all three inside with significant roles to play was easy. 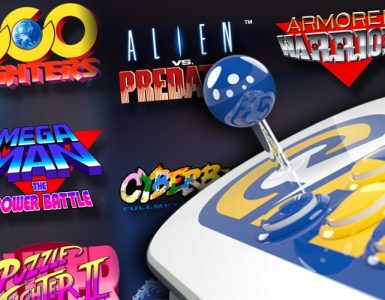 The harder portion was how to incorporate and connect V to this world, and have the same stylish, acrobatic gameplay and attack seqences during development. 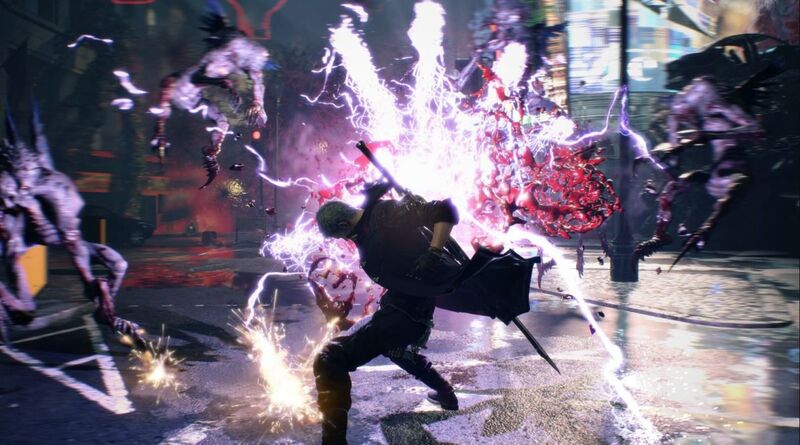 It can be a whole lot to swallow, considering the branching skills that can be unlocked for the characters, but if you want to simplify things and still look SSStylish, Devil May Cry 5 has an Auto-Assist mode that helps you achieve complicated combos automatically, which can be toggled on or off in an instant. It’s a great way to show off the cool moves and for newcomers to see the potential they can reach with some practice. 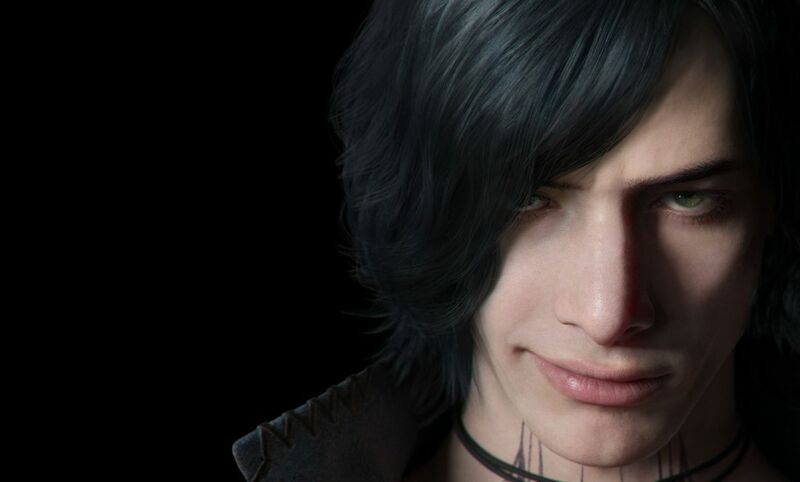 There is also a newly added online element to the singleplayer-only Devil May Cry 5. Much like Dark Souls, players all over will be in a “shared single-play” world that will have echoes of others doing their thing. 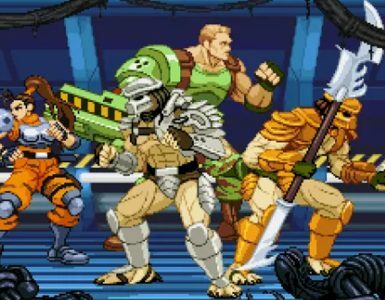 While you cannot interact with these players, you will be able to witness their stylish combat or attempts to scrape by. 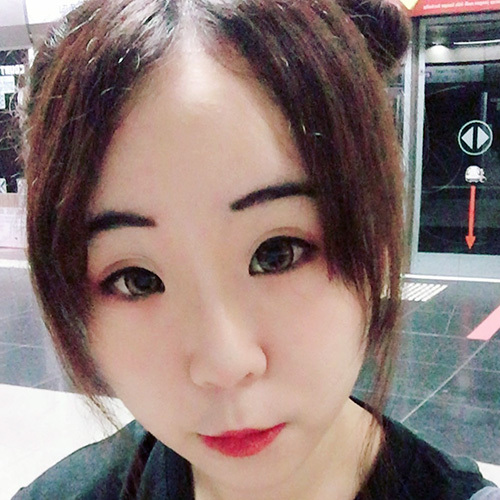 “For our mission structure, it’s divided into different missions for the three characters, and as a whole, it progresses our story along the same timeline. Of course, you can always go back and replay the missions for better ranks and get better at the game, which we really want fans to. For specific missions, players can also team up seamlessly for some co-op action. Even if there are no matches, players can still play alongside a recording of someone else. You can even rate each other to obtain a Gold Orb (1 per day), which grants you an additional “life” to continue should you fall. Devil May Cry 5 is shaping up to be in a position to be the best installment in the storied franchise. 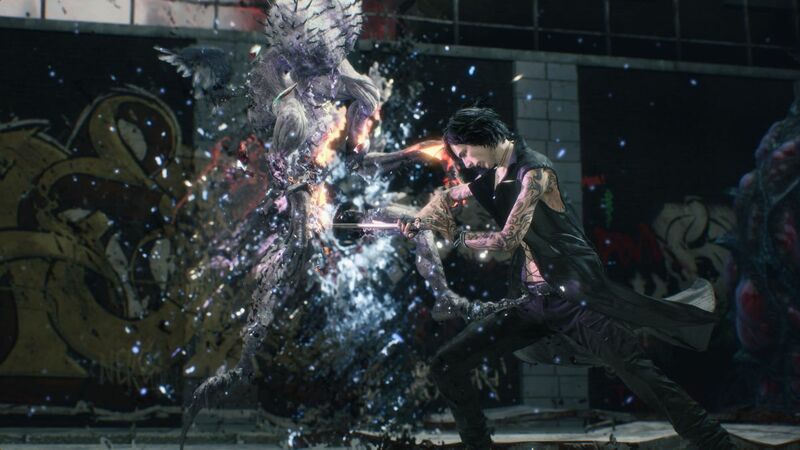 At its core, it retains much of the series staples in characters, lore, and more importantly, the fun in messing about in a world filled with demons and demon hunters. 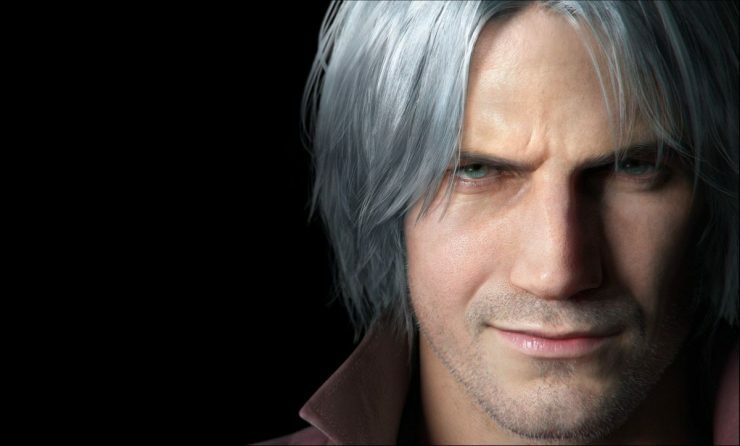 With the latest chapter in Devil May Cry‘s story set to unfold, we only have a month to wait! Devil May Cry 5 releases on PS4, Xbox One, and PC this March 8th.